Shear Genius Salon is a boutique hair salon located in Norwalk, CT that provides you with the “me time” we all deserve. 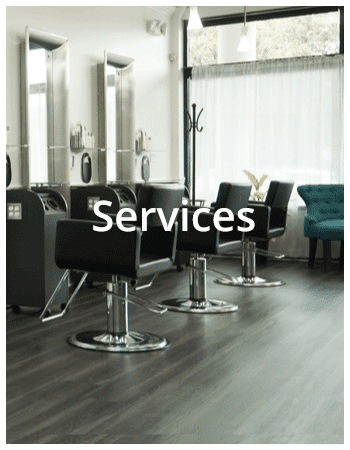 Each salon visit begins with a consultation to assess your needs and concerns. Shear Genius has a wide range of services, including haircuts, hair coloring, balayage, highlights and keratin treatments. Our experienced hair stylists provide a personalized look to compliment your face shape, features, skin tone, and lifestyle. In our upscale salon, you can sit back, relax and sip on a Cappuccino, or enjoy a glass of wine. And of course, we offer complimentary wi-fi. We promise that your experience with us will be an exceptional one that will exceed your expectations. Brooke is a hair-hero! I have had the same stylist for most of my life, and I was nervous to switch things up. I found Brooke's reviews here on Yelp and decided she was the one! Brooke works her magic and has made my hair better than it was before. The color is perfect, the cut is divine. Did I mention they offer complimentary wine? Thank you to Brooke and her awesome salon for being my new go-to! This review is for my girl Tiffany. She does highlights and color as well as any colorist in the city. Having lived in NYC for years, I was super worried about finding a good salon out in the 'burbs of Connecticut. Shear Genius is great. My cuts and highlights are always perfect. Clover is an awesome stylist! I wish that I lived in Norwalk (I'm from Virginia)! I would be a regular of Shear Genius. I travel frequently and when my schedule allows, I schedule my color and cut with Clover at Shear Genius. I am definitely a fan! The personal attention is exceptional. I would recommend to anyone who is in the area and is looking for a new salon. Clover is amazing. After many years with the same salon and stylist, I decided to go out into the great unknown in search of a new stylist. Shear Genius is down the road from where I work so I have it a try. My stylist, Clover, is awesome! She's sweet, talented and she listens. I've gone to her 3x and have loved each cut. If you're looking for a talented stylist then look no further than Clover at Shear Genius! Highly recommended! Excellent service, very friendly and skillful staff, who really gets what you want and more! I have had my hair cut and styled by both Toni & Clover - they are both absolutely amazing! You get a very special treatment at a very affordable price, and their location is pretty convenient too! The salon also has a very nice atmosphere! I have been getting my hair cut and colored here for several years and I am always happy. Brooke is amazing with my color (I call her an artist because she has so many bowls in front of her for my highlights, lowlights and base color) but in the end she creates a masterpiece because I always get compliments on how natural it looks! I have curly hair and she does the Deva styling which is amazing for curly hair. Tiffany and Clover both have cut mine or my kids’ hair at one point or another and they are all great!!! Can't recommend this place enough. I'm very picky when it comes to finding a good color specialist. Brooke is amazing! She always makes my hair look fantastic!! All the ladies are very friendly and make you feel at home! I have been coming back to Shear Genius since I was 15 and got my first highlights! Tiffany is a genius and has never steered me wrong. I moved to NYC a year ago and still come home to get my hair done, I don't trust anyone else! I tried a few salons when I first moved to the area about 5 years ago, but had horrible luck! After trying Shear Genius I haven't gone anywhere else. Tiffany, as well as the other stylists, are all wonderful! Prices are reasonable for the area, the salon is always clean, and everyone is always friendly and on-time. Would definitely recommend. I made an appointment for a shampoo and blow-dry with Tiffany. She did an amazing job with my hair. She was a great conversationalist, really friendly and engaging and very professional. She is definitely a very talented hair stylist. The salon was clean. All the staff were kind and welcoming. I highly recommend this salon. Great place! They pamper you and do a great job with hair. They gave me a free cappuccino and I love my hair. The staff is awesome the atmosphere is great! By far the best service in New England. I have known Brooke for almost 10 years...Each and every time she has left my hair looking spectacular. Tiffany is also amazing! You get so much more for your money, totally worth every single penny. If you haven't tried them yet, I recommend you do! I ALWAYS walk out of there feeling like a million bucks...I cannot tell you how many compliments I get every time my hair is cut by Brooke; People notice the quality. Love it and love everyone there! I'm so lucky to have found Shear Genius and my stylist, Clover. I was getting haircuts in my home town Stamford but since Shear Genius is up the street from work, I gave them a try. What an amazing experience - Clover's beautiful expertise, nice environment, pleasant, a great value, etc. I extended services to color my hair and it's better than anywhere I have tried in 15 years. 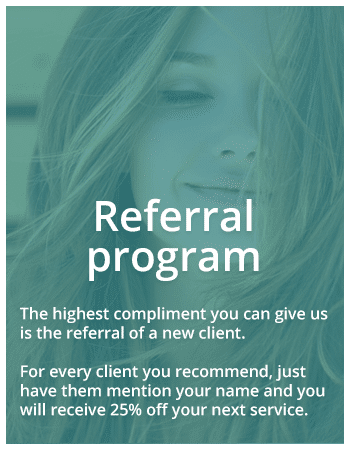 Give Shear Genius a serious try and refer others - a hidden gem (oh, and ask for Clover). Tiffany is fantastic! My hair always looks amazing after I leave, and the staff there connect with you personally too. I've been going to Tiffany for a few years now, and since then I have never had my hair cut anywhere else. I'm dreading moving away after college because there's no place that can compare to Shear Genius. Pam is amazing too! She's been so understanding when I had to run to the ATM, and she always has a smile on her face. I go to school in Rochester and I wait specifically for breaks to get my hair cut so I can go to Shear Genius. Props! Had horrible luck finding a salon in the area when I first moved here. After finding Tiffany at Shear Genius I haven't been anywhere else for a cut and color. 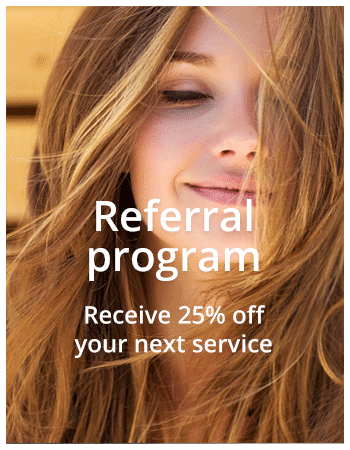 All the stylists are great, everyone is friendly, prices are reasonable for the area, and the salon is always clean. Would definitely recommend! 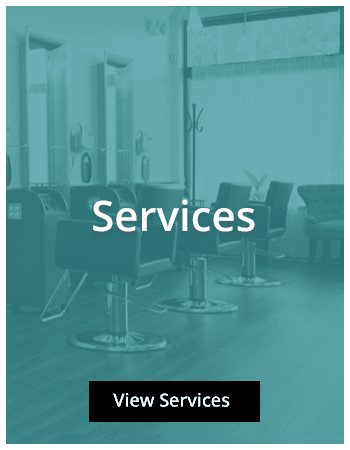 I can't recommend Brooke's salon enough for the creative-modern styling, knowledgeable hair care guidance, upscale atmosphere and thorough dedication to my satisfaction as a client. 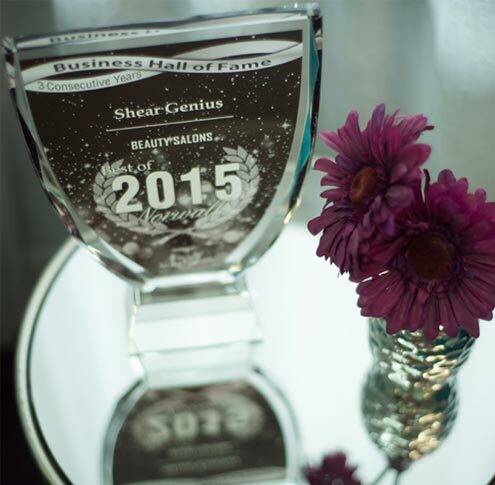 If you want an amazing cut that comes with unparalleled service, Shear Genius is the only place to go. I have been following Brooke throughout her career and she is a top stylist and colorist. For a person with very fine hair she has taught me how to make it look much thicker with very little effort and you would never know I have grey hair. Excellent salon. Brooke is the best! I never liked going to salons but I feel totally comfortable with her and in the salon. She is a great colorist and hair stylist. The salon is conveniently located for me and clean, bright, and welcoming. I won't be going anywhere else. I started coming last July and I love it! Clover is kind and respectful and gives a great haircut! My daughter also got her first "salon" cut with Clover last week and loves her new look! Thanks! Brooke cut and styled my hair. She taught me how to blow dry my own hair so it looks professional. What an amazingly kind & simple but great and useful gift she gave to me by teaching me some "insider tips." Thank you! She's made a forever a faithful customer. Brooke always has the best tips and thanks to her help, I get compliments not only when I leave the salon but every time I do my hair! Brooke is the best! She's been cutting my hair for 13 years! Brooke is fabulous with hair,...she has been cutting my hair for 5 years, and now cuts my husband’s hair too! Clover gives a great cut! I just had my third Brazilian Keratin treatment with Tiffany and I LOVE it! She did a great job styling my hair just the way I like it and now my hair is smooth and free of curl. I would HIGHLY recommend Tiffany. The color comes out perfect every time and she cuts my hair perfectly. Brooke has been my stylist since 2006 when i first moved to Wilton. As a Mom of five my time is precious, Brooke is always prompt with her appointments, takes time with me to make sure she understands my wants and or concerns and delivers amazing cut and color. I wish that I lived in Norwalk (I'm from Virginia)! I would be a regular of Shear Genius. I travel frequently and when my schedule allows, I schedule my color and cut with Clover at Shear Genius. I am definitely a fan! The personal attention is exceptional. I would recommend to anyone who is in the area and is looking for a new salon. Clover is amazing. Had a fun Sebastian razor cutting class yesterday and learned this new disconnected Pixie Haircut. (now these girls need some new color to go with there new cut! )We all have at least one client we know who will love this cut.💇‍♀️ Do you think it's you🤔?? Hi everyone! We are experiencing some phone issues today 3/21/19 but we want to hear from you. 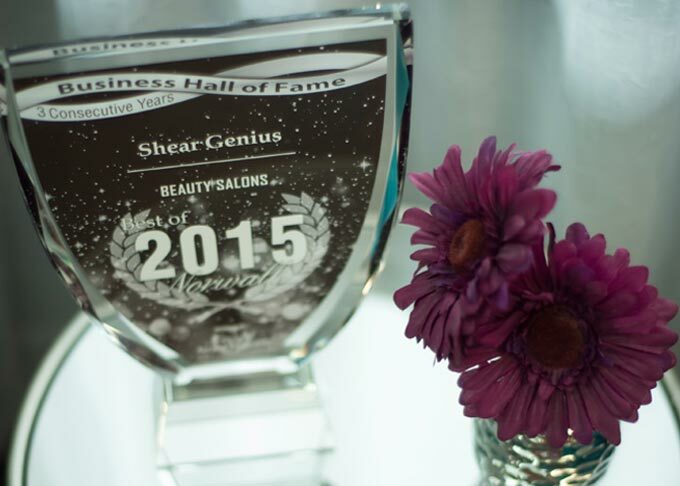 Please try to call and if you don't get through email us at info@shear-genius-salon.com and we will get back to you. We are hopeful everything should be resolved this afternoon. Thank you to everyone who came out and celebrated 🎉🎊Shear Genius’s 10 year anniversary! We had a blast celebrating with each and every one of you. Here is to another 10!